Where can I find Dealerscasino’s bonus policy? How does DealersCasino.com protect my Privacy? Who is the governing body of DealersCasino.com? How do I know if DealersCasino.com is playing fair? Where can I find DealersCasino.com’s bonus policy? Where can I find DealersCasino.com’s cash out policy? Where can I find DealersCasino.com’s terms and conditions? The 100% matchup bonus is something that DealersCasino.com offers to all its new players. To claim this bonus all you need to do is make your first deposit of a minimum of $10. 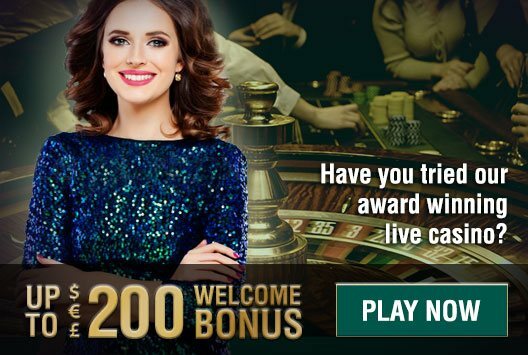 DealersCasino.com’s bonus policy can be found here. Any bonuses added to your account are usually added automatically if a promotion is running during that period. It may also have been credited to your account by your Personal Account Manager either following a personal bonus offer or as a thank you gesture for your continued loyalty to us here at DealersCasino.com. If you do not wish to take advantage of the bonus offer please do not play with the deposit and bonus funds at all and contact us straight away. It may take up to 5 days for our processor to receive the funds. Immediately upon confirmation from our processor, we will update your account balance and we will notify you by e mail that your playing balance has been updated with the deposited funds. If after 10 business days from making the wire transfer, you still have not received the funds in your DealersCasino.com account, please contact our customer support team for further assistance. Kindly make sure you prepare all relevant details of the deposit made (Date of transaction, amount, currency, transaction reference number from bank). DealersCasino.com’s cash out can be found here. The funds will now be transferred back into your DealersCasino.com account. 1. Login to your DealersCasino.com Account and click on “My Account”. Select “Documents Upload“. Reward Points are another way for DealersCasino.com to reward our loyal players. Registered DealersCasino.com Real Money players earn Reward Points as they play. Reward Points may be awarded for special promotions or as gifts from DealersCasino.com. Bonus Money redemption is done from the cashier section of the DealersCasino.com site. If a player chooses to close their DealersCasino.com account, they will forfeit their Reward Level and lose all Reward Points associated with that account. In the event of account closure by DealersCasino.com for any reason, Reward Levels and Reward Points will be forfeited. It is possible to earn Reward Points on the Mobile platform as well as through web games on DealersCasino.com. DealersCasino.com Mobile Players earn points in exactly the same way. DealersCasino.com’s terms and conditions can be found here. All Practice accounts have a limit of 250 games to play with. Should you chose to open up a Real Money account, your first deposit of a minimum of $10, and each deposit thereafter will add another 250 games to your practice account. You may switch back to Practice Mode at any time and play any remaining games you have available.